Making music in Harford County since 1971, Music Land is a full line music store for the beginner and the accomplished professional player. Our goal is to provide our customers with the finest selection of musical instruments and accessories by major manufacturers with expert help and service. We always have a large selection of sheet music, books and teaching material on hand and a School Band and Orchestra Instrument Rental Program is available to local school students. To complement the store, a full repair shop is available to our customers. Repairs are done in house. From a piccolo to a tuba, from a violin to a string bass, and of course the guitar and the bass guitar. We are committed to repair and service what we sell. To help players achieve higher standards we also offer private lessons for most instruments. Studying under experienced and excellent teachers our students are given individual instruction with equal emphasis on a true musical background and quality performance.All of our staff are passionate and knowledgeable about music. Come in and meet us in person! Born in Sicily in 1942, Joe Noto came to America at the age of 16. 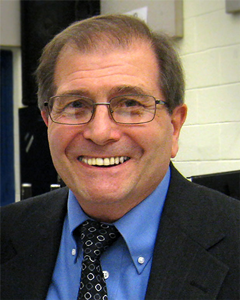 An Avid accordion player, Joe played in and lead several bands, including The Joe Noto Combo. He taught private lessons and opened his first store, Govan’s Music, in Baltimore in the mid 1960s. That store would become Music Land in Bel Air in 1971 and would go on to serve thousands of musicians, young and old, beginners and professionals, for over 40 years. Joe passed away in May 2015 after a second battle with cancer. Music Land was his life’s passion and he loved it to the very end—driving himself to the store until just days before his passing. 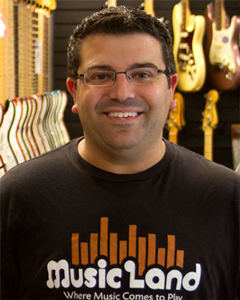 Joe’s legacy is being kept alive as Music Land remains family owned and operated, now run by his son Larry Noto and the dedicated and talented team at the store, several members of whom have worked at the store for over three decades. Larry currently serves on the board for The Maryland Center for the Performing Arts and the Harford County Arts and Culture Advisory Board.